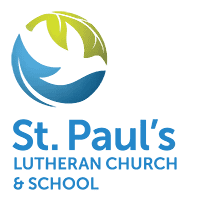 St. Paul’s Lutheran Church & School is a congregation committed to a discipleship philosophy of what it means to be a Christian Community. Our mission is to grow in faith through Christian community for Christ’s service. St. Paul's School offers preschool and elementary education for students through sixth grade and is committed to providing quality education in an environment where Christian faith is taught, learned and lived. Giving is an act of worship. Our financial generosity is an expression of our love for God and our neighbor. These gifts support the ministries of St. Paul's and the church around the world. In addition to regular giving, opportunities exist to contribute to specific ministries. Join the hundreds who receive our weekly email announcements. St. Paul's welcomes all, whether you be rich or poor, young or old, gay or straight, there is a place for you here. Sundays at 7:30, 9, and 11 a.m.